It is time for the glorious Church to emerge. There is a clarion call to the Church of Christ in Canada to re-examine the true hope of the New Testament. This is a convention of believers and ministers of the gospel from various churches and denominations in the City. If you live in the Cities of Edmonton or Winnipeg, you are invited to be a part of this holy convocation. Venue: Boyles Street Plaza, 9538 103 Ave.
Venue: Waverley Heights Community Centre, 1885 Chancellor Dr.
Our lives are hinged on certain hopes, and all our life endeavours are directed towards the attainment of these hopes. The driver of life is hope – if all of a person’s hope is cut off, the will to live disappears. Also, the quality of our lives is limited to the quality of the summation of our hopes. It is therefore of great importance for us, as believers, to examine the nature of the hope that drives our Christian experience. “But if the ministry of death, written and engraved on stones, was glorious, so that the children of Israel could not look steadily at the face of Moses because of the glory of his countenance, which glory was passing away, how will the ministry of the Spirit not be more glorious? For if the ministry of condemnation had glory, the ministry of righteousness exceeds much more in glory. For even what was made glorious had no glory in this respect, because of the glory that excels. For if what is passing away was glorious, what remains is much more glorious. The time has come in the nation of Canada for the true hope of the new covenant to be revealed in the churches by the Spirit of God. Until this hope is revealed, the Church in this land cannot attain the new testament life because the new testament life cannot be attained until the hope of the new covenant is seen. 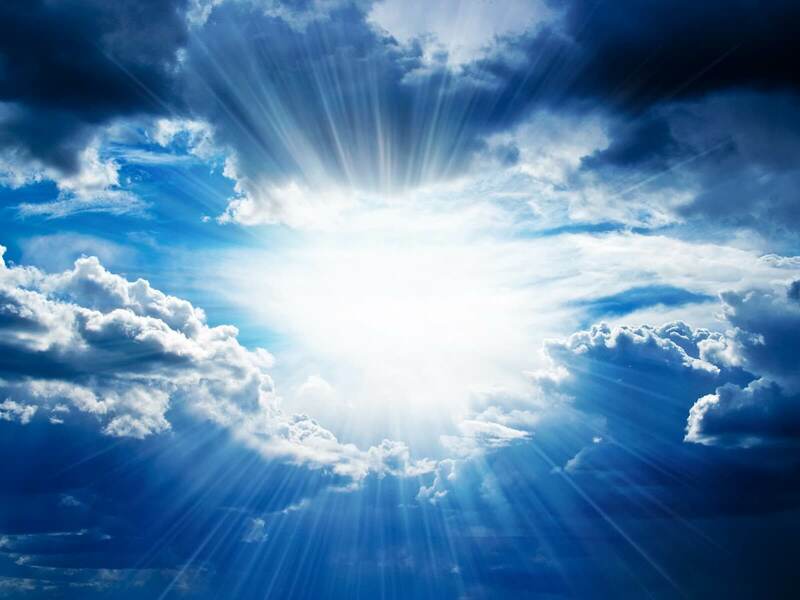 The new testament minister is called to develop in God’s people a capacity to hope for things which are not seen, things which are eternal, in the heavens. Every Christian is born a baby spiritually. As no one is born into the natural world as a mature, full grown human being, so also, no one is born again spiritually as a mature believer. A baby does not have the capacity to desire or hope for the right things, and the reasoning of a child is very low and under developed. So also is the reasoning of a child in the Spirit. A child’s desire and reasoning is primarily needs centered. Also, a new born child of God does not have the capacity to look beyond their immediate needs. But as believers begin to grow and they become more knowledgeable about their eternal purpose and destiny, their hope begins to evolve, and they begin to migrate from a needs-centred life to a purpose and destiny driven life. The destiny of a christian is to fully attain the hope of glory, it is this great hope that we live for. As we grow spiritually, this great hope begins to get unveiled in our hearts, and our appetite begins to change. A significant marker of spiritual growth is change in appetite. Maturity is reached when a believer’s hope and expectation becomes aligned with the expectation of God, which is not earthly or temporal, but eternal. This is a requirement for the fulfilment of divine destiny. “I now rejoice in my sufferings for you, and fill up in my flesh what is lacking in the afflictions of Christ, for the sake of His body, which is the church, of which I became a minister according to the stewardship from God which was given to me for you, to fulfill the word of God, the mystery which has been hidden from ages and from generations, but now has been revealed to His saints. There is about to be a great unveiling of this glorious hope over the land of Canada. As the person of Christ becomes our hope and our goal, when communion and oneness with Him becomes the prevailing pursuit in the churches, all earthly pursuits will cease, and the Church will collectively enter and operate in her true identity, in oneness with God the Father, the Son, and the Holy Spirit. 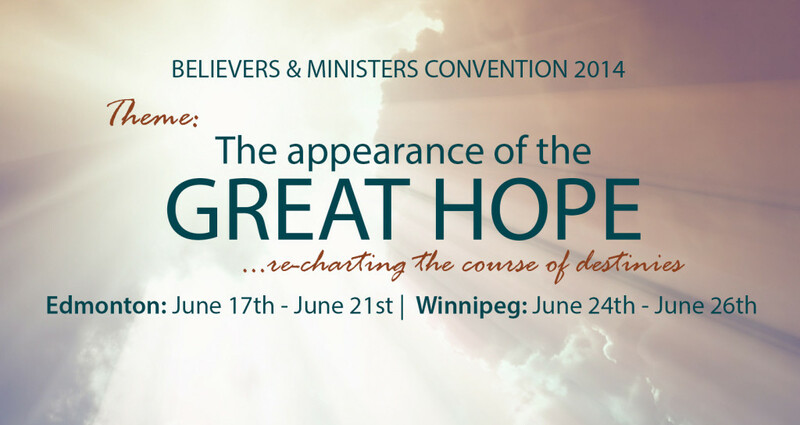 Such are the company of Believers and Ministers, who will be gathered to hear the Son of God communicate this great hope to His saints at the Believers and Ministers Convention 2014, and it is with such unspeakable joy that we welcome you, as a vital stakeholder in the advancement of the Church of Christ in this city, to be a part of this holy convocation.